I've had this Extreme Guitar stamp from SU for some time now and this is the first time I've actually used it! The intention I had when purchasing it was to do a wonderful background with the brayer - you know what I'm talking about I'm sure (like Michelle Zindorf's blog). Well, it's not going to happen - NOT EVER! All the tutorials, etc, using that brayer look so easy. I just don't get it at all. I had a MESS. Nothing pretty about it! So, I decided to just use a background stamp behind the main image and go with it that way. I not only attempted the brayer - bit, but also was going to emboss the image. But alas, no black embossing powder! So I tried to use the Versa Mark, black ink, and clear embossing powder - but it just didn't look like I wanted it to. (If you're getting the feeling this card was trying my patience, you're right!!!) I'm not sure where this sentiment came from but it was great for the card as it'll be a birthday card for a 15 year old boy. Oh, and by the way......that sentiment is NOT done on pink paper! It just looks that way....every time I'd take a photo of this, all was looking good except it looking like the sentiment was on pink paper! As I said, this whole card tried my patience something terrible!!! LOL! 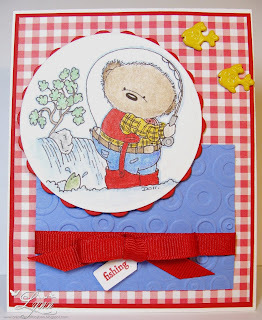 The red background was done using the Square Lattice die from SU and this wonderful sketch came from The Sweet Stop. I'll be entering this card for their challenge this week. 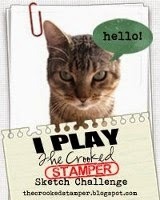 The theme for the challenge over at Stamps R Us beginning today is Pets R Us!!! So for the next two weeks, you need to create something with a pet on it. It doesn't necessarily have to be a dog or cat either. I mean, it could be your goldfish, horse, lizard...just whatever suits your fancy! Different people have different pets sometimes. When I was younger my brother had an iguana for a pet! Nasty little creature if you ask me and I was always just petrified of it. I was afraid it was going to get out of its cage and get in bed with me!! This little pup is from K n K Designs - our sponsor for the challenge. So many cute images there and you really need to check them out. I colored him with Prisma pencils and paper pieced his little "detective" jacket. 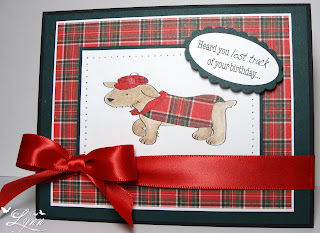 I used some Handsome Hunter (although it looks black in the photo), white, and some unknown plaid designer paper. 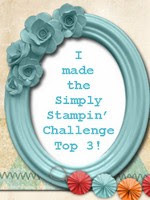 Thanks for stopping by and be sure and check out the Stamps R Us challenge! I'm sure this had to be a CASE from someone - but don't know who it was as I made the card last year! 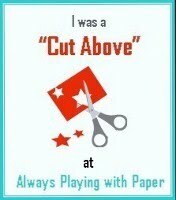 So if I've CASEd your card and don't give you credit I apologize. I've just really been in a slump around here lately and haven't felt like creating much of anything - and then when I do, I'm not liking it! So today you get to see a card I created last year. I used the SU set called Go Graduate (and the sentiment is from Well Scripted - also by SU). 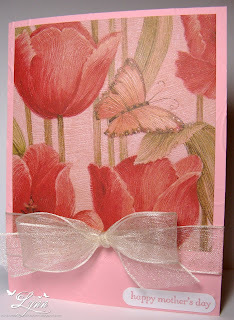 The embossing on the white background was done with the Swirls embossing folder. I've used the "spotlight" technique (sorta) on the middle image - but if you really want to see this technique done right, go check out Jaydee's blog post from Wednesday! 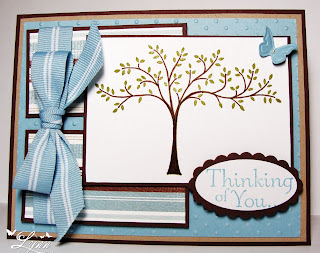 She really made a wonderful card using this technique. It's time for another Dude Time Doodle Blog Hop! It's going to be a fun Hop as you'll get to see all the new release images from Boni's STORE. 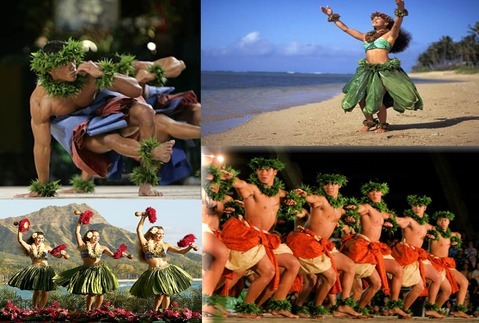 The Hop doesn't have a starting and ending point so no matter where you are, you're in the right spot. Be sure and leave a little love at each stop because one of the DT members will be the Mystery Hostess of the Hop and one lucky commentor will receive one of the new release images for free - or another image of their choice. In case you get lost along the way, here's a list of all the stops on the Hop: Anne, Cleota, Hetty, Boni, Lynn (that's me), Tammy, Ruth, and Dude Time Doodles. This dashing guy is called Robert Hood.......If I'm not mistaken, he's a very close relative to Robin Hood - like maybe his brother!! He's also alot older than Robin - at least the Robin I always watched on TV when I was young......and oh, how I loved Robin. I always thought it was so cool for him to rob from the rich and give to the poor. 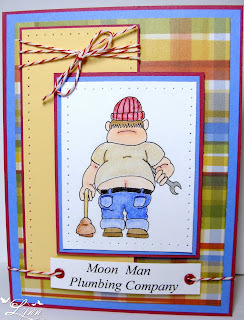 I'm thinking maybe I need him around now to throw a few more coins my way for stamping supplies! I wish that was a REAL gold coin on the card (that would buy A LOT of supplies) but it's just a charm I'm afraid. Also - before I forget.....Dude Time Doodles is having a Design Team call until June 15th. 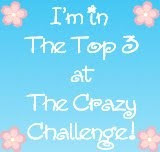 Be sure and check that out at the Challenge Blog site. 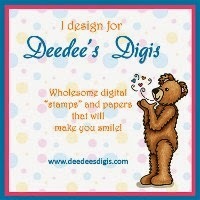 And... Stamp-by-Step and DTD have partnered together and are offering discounts. Stamp-by-Step is offering a 10 % discount to DTD shoppers. The code to use for the discount is DTD10. 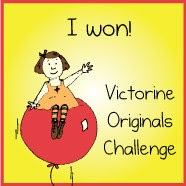 I'll be entering this in the following challenges: Nettie's Digital Gems (childhood fantasy) and Paper Playtime (use a charm). 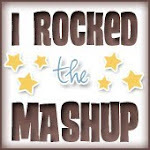 Thanks for stopping by and BE SURE and check out the Blog Hop! No....not a long-neck beer!!! Just a long-neck giraffe! I was rustling around tying to find something in my craft room the other day and ran across this jungle type print paper! 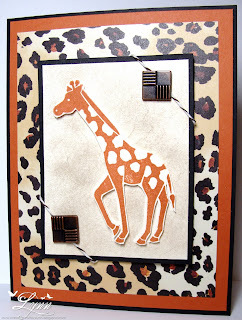 I thought it'd be the perfect opportunity to use this cute little giraffe stamp from CTMH (In the Wild). I stamped him once and then stamped again and cut him out AND popped him up for some dimension (Whew...a lot of "ands" in that sentence!). I also popped up the entire panel after adding the square brads and bakers twine. 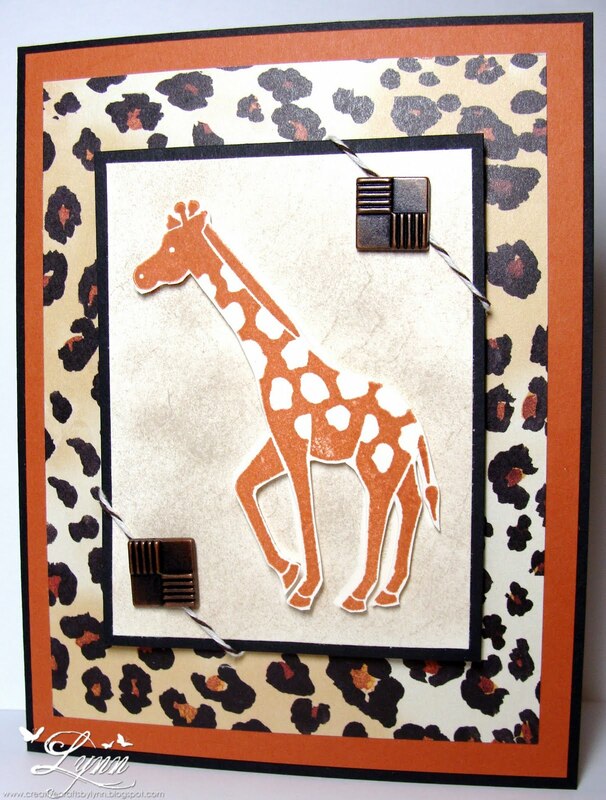 The background around the giraffe is sponged using some Really Rust ink. 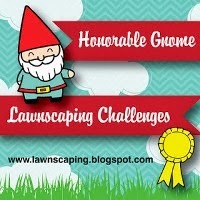 I've been out of town the last few days and haven't gotten to visit blogs! 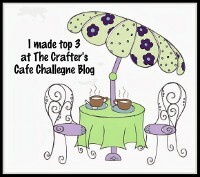 I'll be playing catch up for the next day or two in order to visit all your creations! The Dude Time Doodles Challenge Blog is looking for talented designers to work exclusively with digital artwork provided by Bonibleaux Designs. The call ends on 6-15-11 so you still have plenty of time to apply. 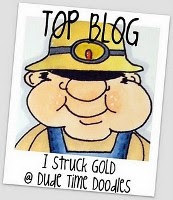 Visit the Dude Time Doodles Challenge Blog and click on the DT Call tab to find out all the details on how to apply! Thanks for stopping by.....and visit Dude Time Doodles today to apply for a chance to be on the Design Team!!! After looking at all the stripes and dots here I REALLY was getting a little dizzy!!! 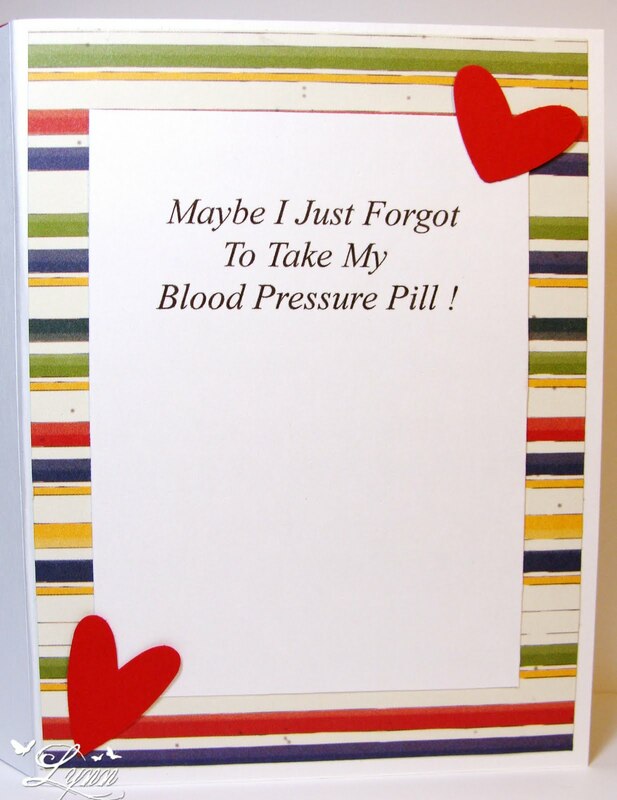 I'll be giving this to my husband next week for our anniversary. 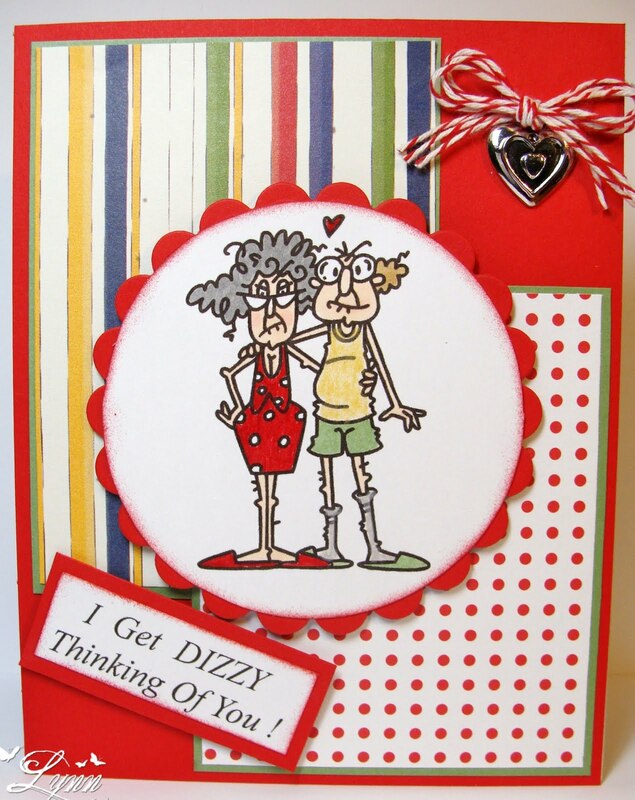 I never give him a mushy card - I mean he already knows I love him so why get all mushy about it! LOL! I also think he'd just have a stoke if he got a mushy card from me....that's just NOT ME! 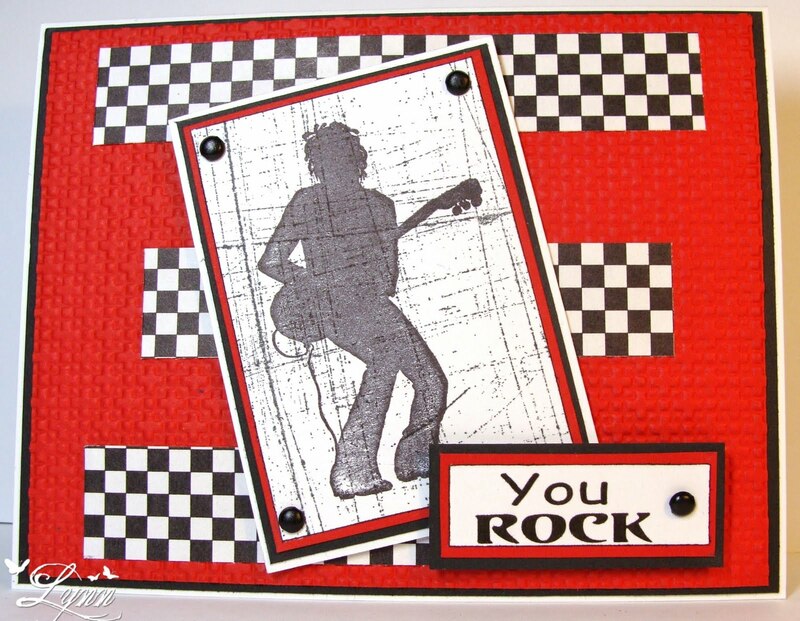 I know I normally post a card on Friday - but hey, today is Thursday right! But it goes up today since I'll be out of town for a few days. Besides that, sometimes you just gotta shake things up a bit and not be so normal! 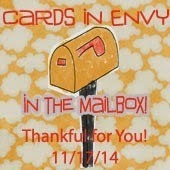 You also get an additional treat today as you get to see the inside of this card!!!! Now before you even ask........NO, I'm not taking blood pressure medication (although sometimes I probably need it!) 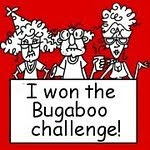 and also this little couple (from Bugaboo) look nothing like Jim and I. His legs aren't that skinny and my hair is alot shorter! 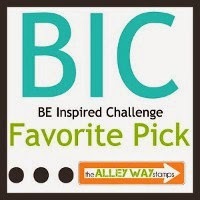 I'll enter this in two challenges - both with the theme Stripes and Dots: City Crafter challenge (which is new to me) and Catch the Bug challenge. Thanks for stopping by.......hope this makes you smile - and have a great weekend. Now if all these bright colors don't wake you up for the rest of the week, nothing will!! That, and the fact that I again posted TWO cards in one day! Pretty scary if you ask me! 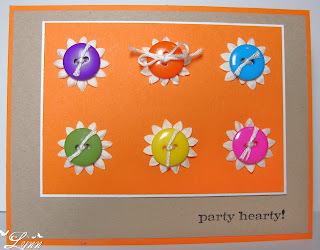 I recently won some wonderful blog candy from Ronnie over at So Many Stamps, So Little Time and a whole slew of fabulous buttons were included in the package! So right now, I have A LOT of buttons. 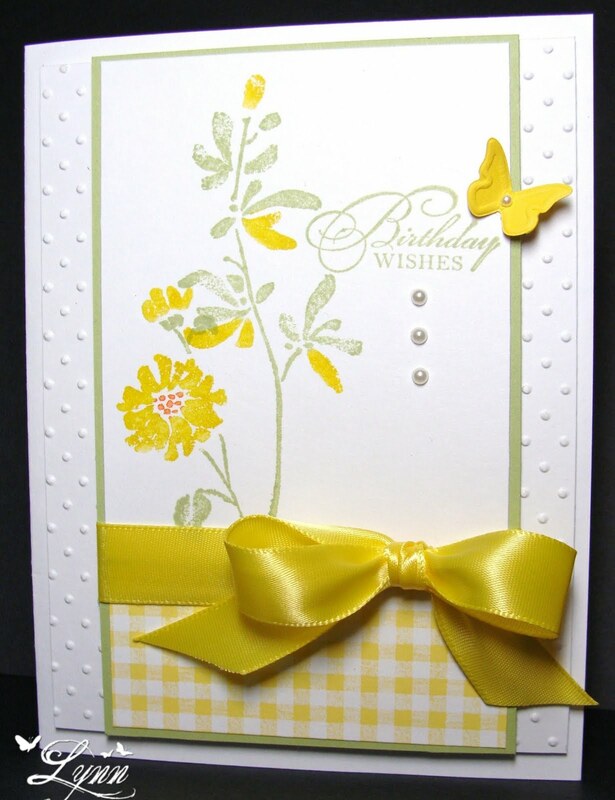 I know this is a very simple card - no coloring or anything fancy at all, but it made a really quick card that I'll have on hand for another birthday. 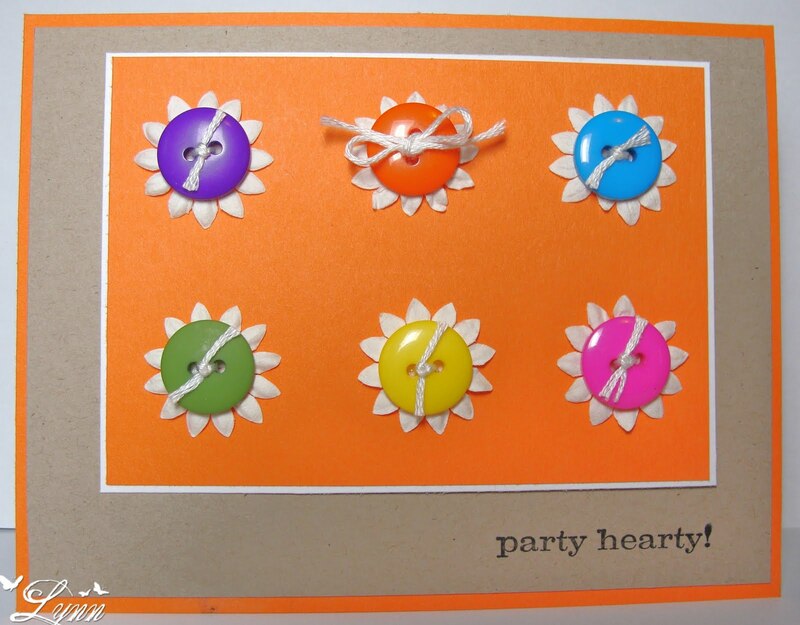 And just typical of this week (and actually last week too) I got this entire card finished, took the picture, added the watermark, and posted it up here......and THEN noticed that the little flower behind that pink button is missing a petal! UGH......! 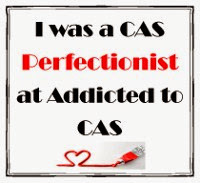 Oh well........I never said I was perfect! 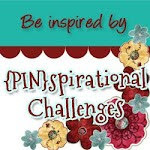 Today begins the Inspiration Challenge over at Dude Time Doodles! 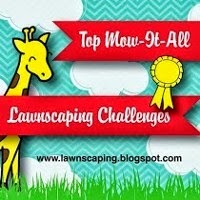 You have one week to submit your entry for the Top Blog Winner or Top Three Winners. Check out this beautiful picture for inspiration and then head on over and submit your entry. You are not required to use an image from Boni's store but it MUST be a masculine themed creation. 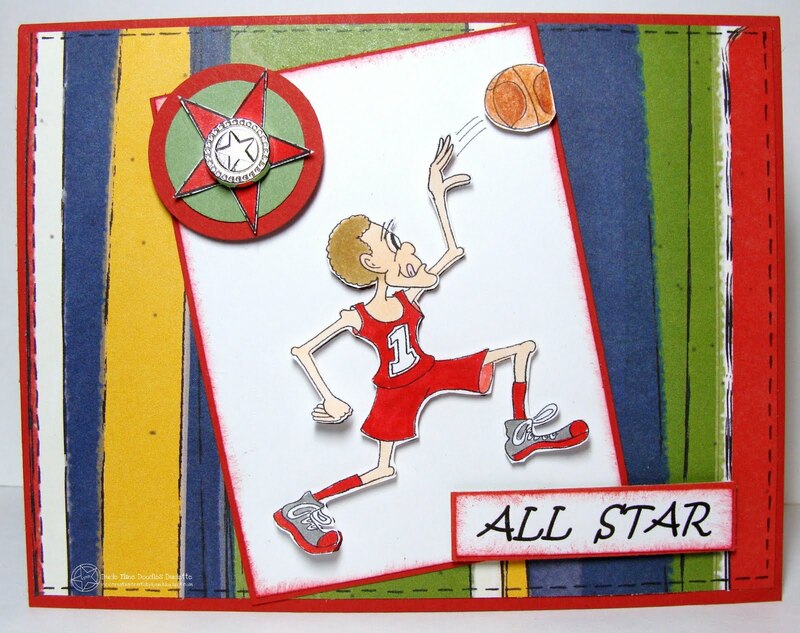 This little guy, BBall Barry, can be found in Boni's store along with all her other fabulous images! And since we're right in the middle of the NBA Playoffs around here, I thought he just "fit the bill". As all the commercials say regarding the playoffs......Win or Go Home! Well our beloved Spurs lost and "went home" so I'm just not real sure who is in the playoffs now. 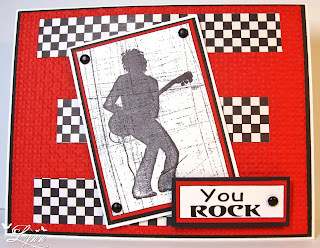 I just thought this would make a super card for a teenage boy! Barry is printed twice, colored, and then popped up on dimensionals. He almost looks like he's in motion in real life. I also did a little doodling around the edges but don't know if you can see that in the photo. Fun image to make a fun card with! Thanks for stopping by........and be sure and enter the Dude Time Doodles Inspiration Challenge! So, has anyone been fishing lately? I haven't, and I dearly love to fish. There's just something about sitting out in the middle of a lake or even on the bank, throwing a line in the water, and then not really caring if you catch anything or not! That's just one of the ways I like to relax I guess. This little guy looks a lot like me at times when I'm fishing.....I mean it's kind of like I've never claimed to be a clean painter - and never claimed to be an outstanding fisherman! But, you gotta admit, this image is ADORABLE!!! 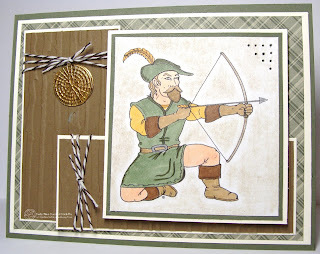 And he's from Di's Digi Downloads....for the challenge beginning this week over at Stamps R Us Challenges. 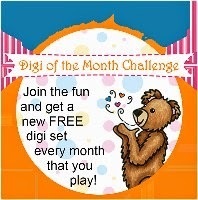 You have two entire weeks to submit an entry for a chance to win a generous prize package from Di's Digital Downloads! And now the easy part!!! 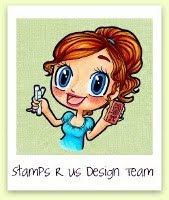 The theme for Stamps R Us Challenges beginning today is to "GO DIGITAL"! Can it get much easier than that!!! 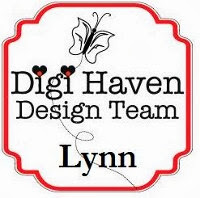 So stop by and show us what you can create with a digital image. No matter what I do to this it looks crooked! Maybe it was just the angle when I took the photo. But anyway, the stamp set I used is called Watercolor Trio (SU) and it's such a pretty set. This started from the layout over at Clean and Simple Stamping (last week) and then it just kind of took a mind of it's own! I think it's still similar to that layout though. Thanks to everyone on your wonderful comments on my posts - they mean so much and each and every one is appreciated. Also, thanks for the comments after I changed the looks of my blog. I really do like it better - pretty simple - but hey, that's me I guess. Hope everyone has a great weekend........and if you notice that I haven't commented on your blog the last couple of days - not to worry....I WILL do so. 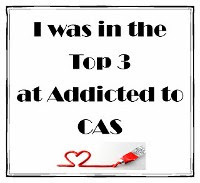 I've been super busy (yes, you can get that way even when you're retired)!!! I know.....TWO posts in one day for me is just unheard of!!! However, I made this card for the Friday Mashup Challenge and really wanted to get it posted today...so, you get to see two cards in one day! The theme of the Mashup is nature or embossing - or mash it up and use both. 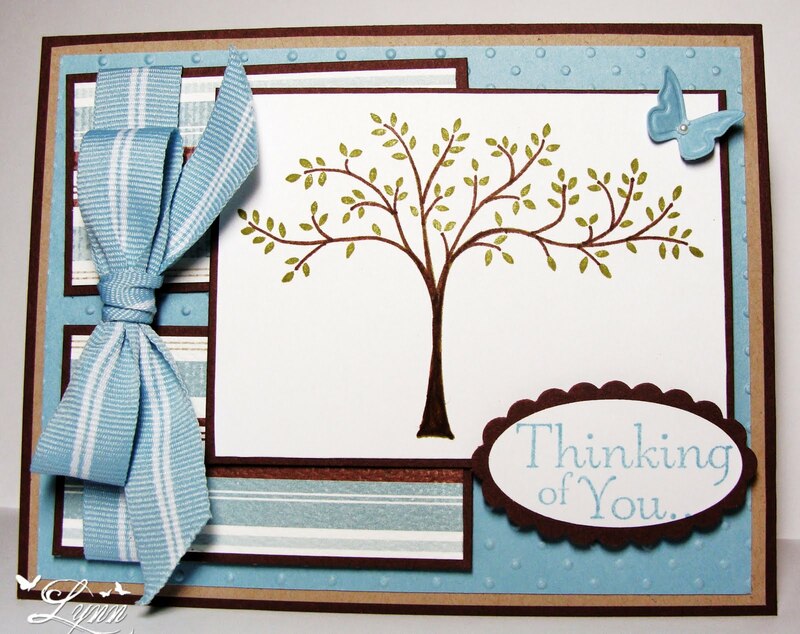 I mashed mine and embossed the background panel with the Swiss Dots folder and used the tree image as "nature'. I really think this is just one of my favorite stamp sets from SU - Thoughts and Prayers. Such pretty images with this set. I also used some Parisian Breeze DP - gorgeous stuff but no longer around so I'm hoarding it! Card stock I used is Baja Breeze, Chocolate Chip, Crumb Cake and White. I tried sponging some color on the white background around the tree - but that was just awful looking! I liked the "clean" look better. Thanks for stopping by.........and hope everyone is having a good week. Meet Jack Janitor! He's a FREEBIE from Boni over at Dude Time Doodles. 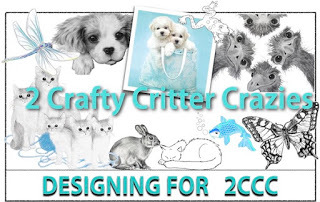 Head over to DTD and grab this cute little image, submit your creation, and you may be the next Guest Designer! 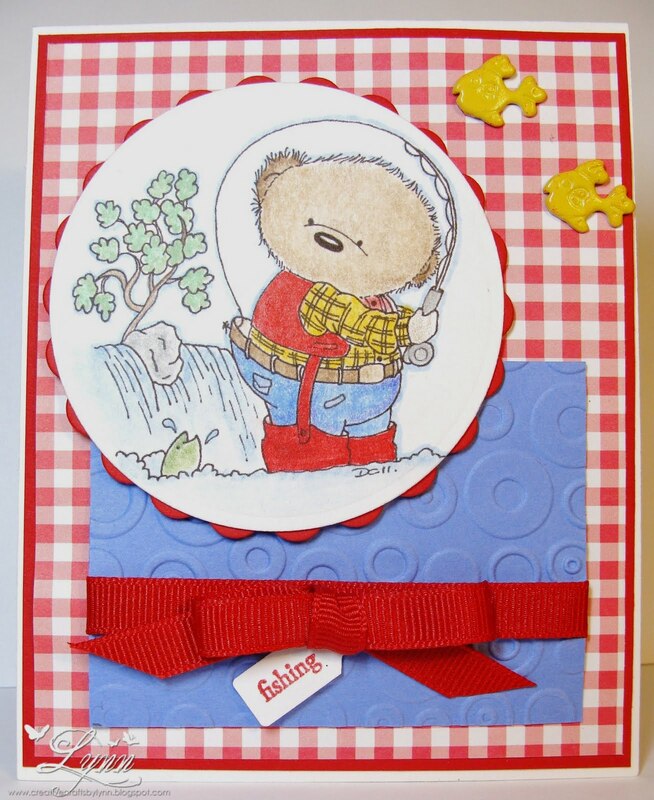 I kept this card very simple to showcase the cute image - and plan to send it to Operation Write Home. I think it'll make a great card for a serviceman to send home to his wife or loved one to tell them that when he gets back home he WILL do "honey do's"! I used some Bashful Blue, Night of Navy, and Rich Razzleberry card stock. The DP is from Daisy D's. He's colored with Prisma pencils and the sentiment is computer generated and then framed with SU punches. 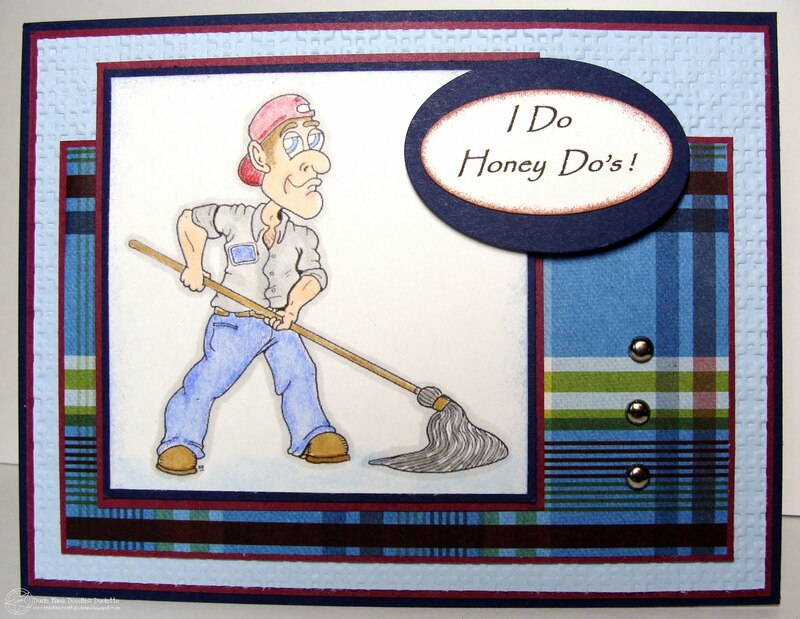 The Bashful Blue is embossed with the Square Lattice embossing folder. 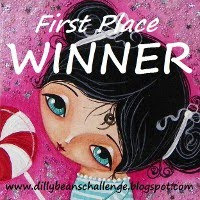 Thanks for stopping by........and be sure and stop by DTD and grab this adorable image and submit your entry. 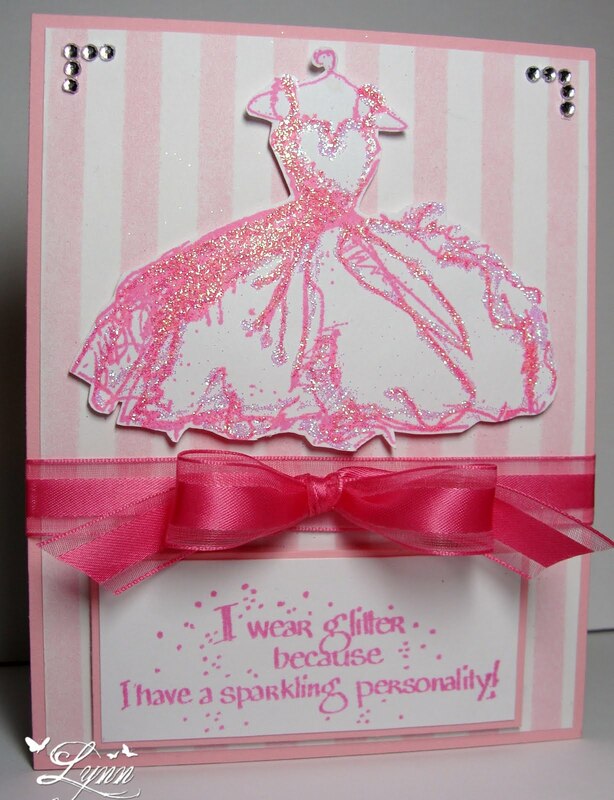 The challenge at Art Impressions Stamps is to use bling, glitter, and sparkle! 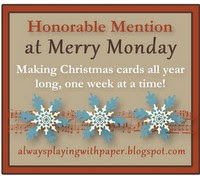 I'm pretty sure I've accomplished that with this card - and with everything else in my craft room! I had glitter EVERYWHERE!!! Poor Rambo (our doxie) STILL has glitter on him and I swear I even had it in my teeth! LOL! The image is from Inkadinkado and the sentiment (which says "I wear glitter because I have a sparkling personality!") is from Eureka. 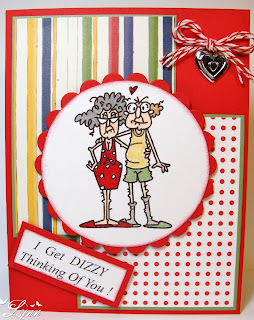 I'll also be entering this in the challenges over at Catch the Bug Blog (anything goes), and because my card is REALLY pink....I'll enter it at Sassy Cheryl's Challenge (pink). I'm REALLY hoping all goes through with this post as "Blogger" and I are just not on the same wave length at this time........We'll see, I guess. This is a very special card for my sister in law, Peggy. She is FINALLY graduating from college - at the prime age of 67! Last time I talked to her she said that she was probably going to need a cane or walker to "walk the walk" and pick up her diploma. 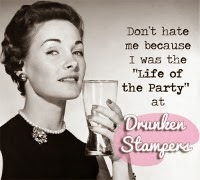 I recently won a gift certificate over at Art Impressions Stamps and purchased this stamp with her in mind. I added the little hat from Go Graduate (SU). The yellow panel is also stamped with the hat but you probably can't see it unless you click to make it larger. Hope I'm getting the school colors right here! We're SO VERY PROUD of you Peggy! Thanks for stopping by........have a great weekend. The challenge this week over at Dude Time Doodles is a sketch challenge. However, this week is a little different in that it's a Sketch challenge - but anything goes.....as long as it has a flower on it! Not so hard, right? Here's the kicker though....since it's for the "dudes" in your life, it must be a MASCULINE card - with a flower somewhere!!! 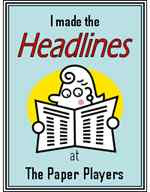 Check out Dude Time Doodles and link up your project today. 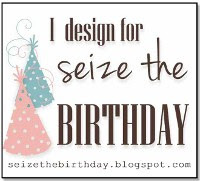 Be sure and pop over to all the DT creations and be prepared to be inspired! 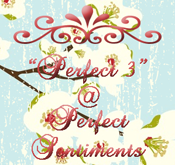 You can find their blogs on my sidebar. Our wonderful sponsor this week is Raindrop Echo and they are offering a fabulous prize of either a set of 3 digital sentiments, a custom watermark, or a custom signature. Wonderful, right!! 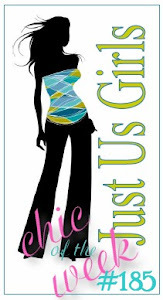 In fact, if you'll notice on my card, I'm using one of the super watermarks from their store. They have so many to choose from and I know you'll like everything you see. 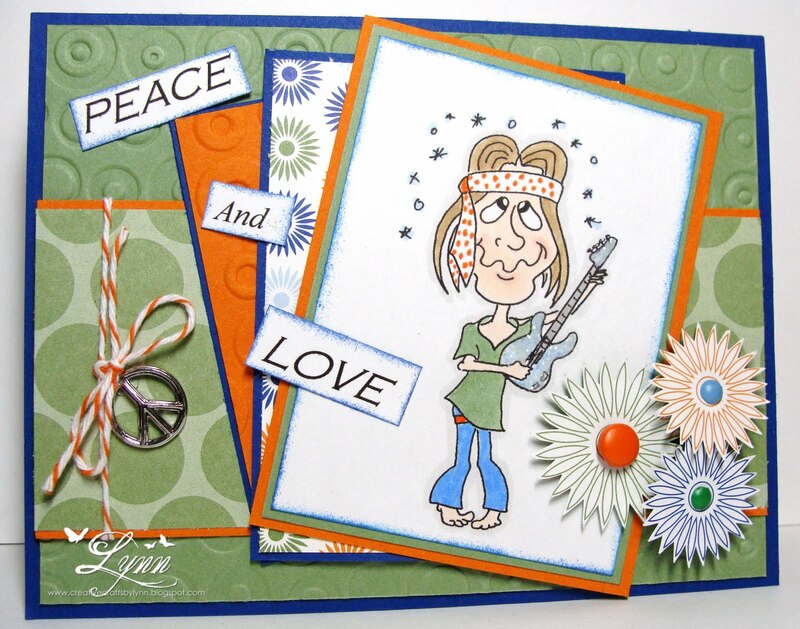 There's a WHOLE LOT going on with this card - maybe even a little too much - so that's why it's titled "Funky". So, where's the focal point! Well, I'd like to think it's this cute, cute little image called Hippie Rocker that you can find in the Dude Time Doodles store. I added some glitter to make the guitar shine some, embossed the green background, layered up some patterned paper, added the cut out flowers from the DP, wrapped some Baker's twine around the middle panel and added a peace symbol charm! Whew....as I said, a lot going on! 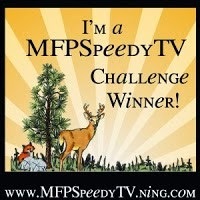 Thanks for stopping by..........and be sure and check out the challenge at Dude Time Doodles. How about this cute little image from Boni over at Dude Time Doodles!!! Is he not a hoot or what! 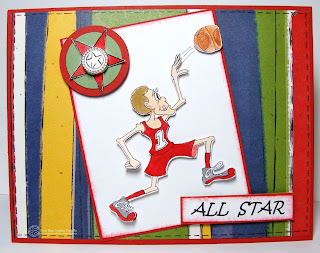 We have a theme of "Masculine" over at our Stamps R Us Challenge and are being sponsored by the one and only Dude Time Doodles. Be SURE and check out her store for all the wonderful and cute images! I guarantee you'll be laughing and having so much fun - and want to grab them all! You have two weeks to complete your project and enter for a chance to win a fabulous prize from Dude Time Doodles. 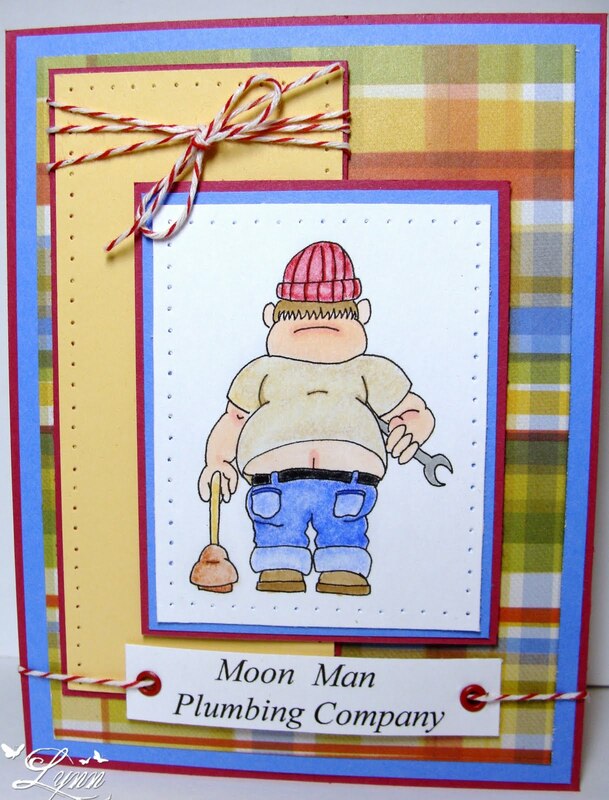 This is Pete the Plumber - gotta love him! He reminds me of my husband when he's trying to fix something and doesn't want to take the time to pull up his britches! LOL! I've colored Pete with Prisma pencils, did a little piercing, and used eyelets! Gasp! I haven't used eyelets in so long (and have a TON of them) and almost forget how to do them!!! 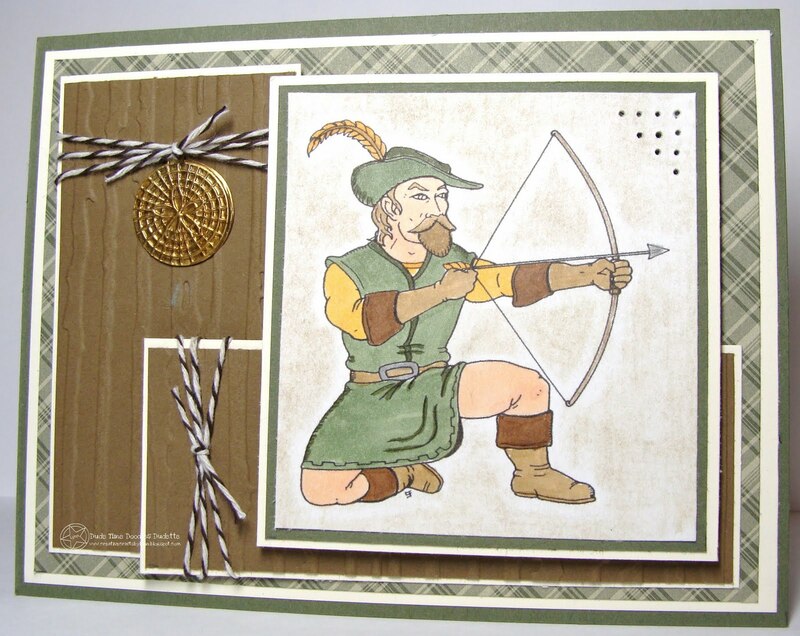 The DP is from Daisy D's and the card stock from SU. The sentiment is computer generated. 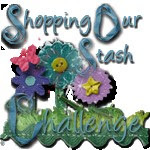 Thanks for stopping by......and be sure and enter the Stamps R Us Challenge!